Join ABC Stone at our new state-of-the-art facility in the heart of New York City for a CEU presentation, followed by a brief showroom tour, accredited by AIA, IDCEC, LACES, NKBA and GBCI. Wine and hors d’oeuvres will be served, and attendees will earn a total of 2 credit hours, just in time for the year-end credit crunch! This event will be held at our NYC Flagship at 129 West 22nd Street. This is the second of two CEU event to be held in December at ABC | NYC: the first will be on December 11th, and attendees of which also earn 2 CE credits. Learn more about that event here. Join ABC Stone at our new state-of-the-art facility in the heart of New York City for a CEU presentation, followed by a brief showroom tour, accredited by AIA, IDCEC, LACES and NKBA. A second CEU event, of which attendees will also earn 2 credits, will be held on December 18th. Learn more about that event here. 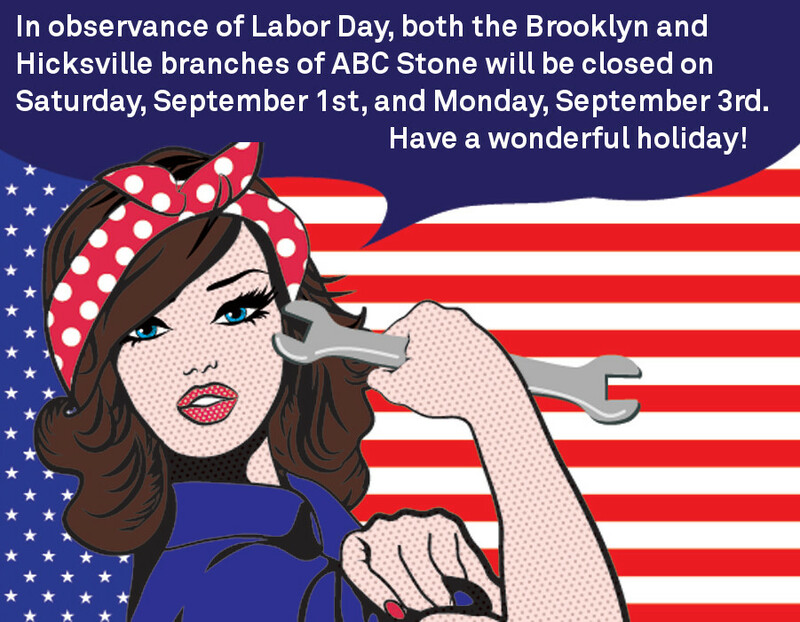 ABC Stone recently launched The NYC Experience Center, in the heart of the Flatiron district at 129 West 22nd Street. Our new, state-of-the-art showroom brings together both digital and analog forces to inspire innovative design on every scale. 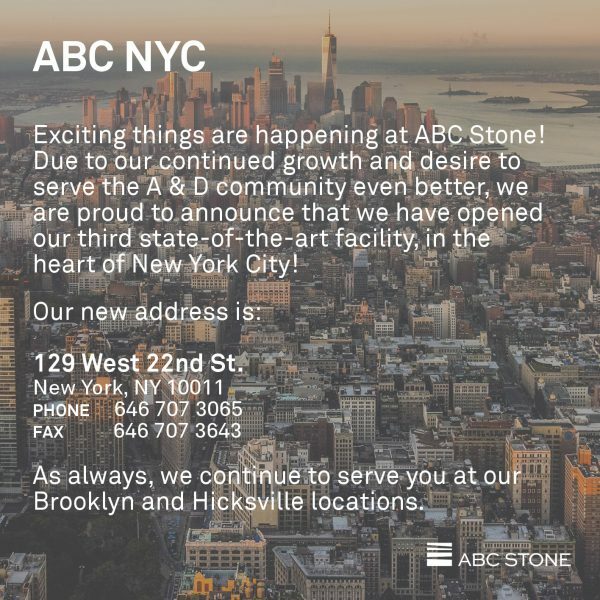 With our Manhattan outpost, ABC looks to expand the parameters of material specification, change how we interact with our clients and how our clients interact with our materials, and ultimately revolutionize point-of-sale procedure in the engineered and natural stone industry. Phone us at 646.707.3065 to book your appointment today.